For the past couple years, Facebook (s fb) has trained its mobile efforts on capturing various facets of social interaction. The social network has compartmentalized and optimized features (Messenger), mimicked the experiences of popular communication apps (Poke), and even tried a pseudo-OS (the still-remarkably-alive Facebook Home). But the company’s latest effort, Paper, takes a hard left away from social interaction and into content curation — and that’s not the most exciting thing it does. Paper, created by a small group of developers, strips away nearly all vestiges of Facebook in both design and function. And, in doing so, it actually makes Facebook tolerable. Lacking the social network’s signature blue coloring and traditional layouts, Paper’s series of cards feels more like Flipboard or Pocket than anything else. It’s clearly trained on news, and its backbone of human curators means that quality filters in to the app’s handful of categories. Users can pick and choose what they want to see, and receive both news stories and updates from relevant voices in the space. While scrolling through the “Tech” section, for example, I saw articles from The Verge and CNET as well as page updates from our own Om Malik. It’s snappy, responsive, and quickly scans through tons of content. The Facebook section receives the same treatment, albeit without the human touch. That personalized section is largely dominated by publications and media the user follows, peppered with updates, links and photos from friends. With a focus on links, the content is remarkably rich — the kind of links and news users are lucky to see once every four or five updates in the traditional Newsfeed. What this all adds up to is an ability to look at Facebook briefly and glean information without actually wading through the white noise of hundreds of acquaintances. If you don’t want to look at babies and puppies, then you can avoid babies and puppies. In fact, if you don’t even care about your friends at all, you can ignore their updates and photos wholesale by never migrating back to the Facebook tab. It mercifully removes floods of Bitstrips, quiz posts, viral shares and junk people post each day. It boosts Facebook’s intelligence factor, which, for a curmudgeon like me, makes the app ideal. But in giving the haters what they want, has Facebook shot itself in the foot? Paper doesn’t have access to Messages, check-ins, or even ads, making it a clean experience that also robs Facebook of its traditional revenue streams. While I don’t doubt that ads will show up in the future, it will be hard for users to not resent the company even more for polluting this specific, clean experience. It’s clear that Facebook Paper is designed to be an ideal experience for what the company perceives as a minority of users: those who want to use Facebook for news and for nothing else. But the dirty secret remains that Paper is probably the ideal experience for everyone, filtering the noise in a way the desktop and mobile fail to do. Paper not being available outside the US is niw my final decision to quit FB. Adios! If you want to really control the sources and topics you read news from, I would suggest using http://www.Hinto.co because you can basically add content from every website, not only those listed in their curated sections. If you want to really control the sources and topics you read news from, I would suggest using Hinto.co because you can basically add content from every website, not only those listed in their curated sections. ‘Paper’ is trying *so* hard to be Flipboard. It’s a pretty app, with many interesting and innovative new interface/gesture controls, but I think they’ve overdone it. 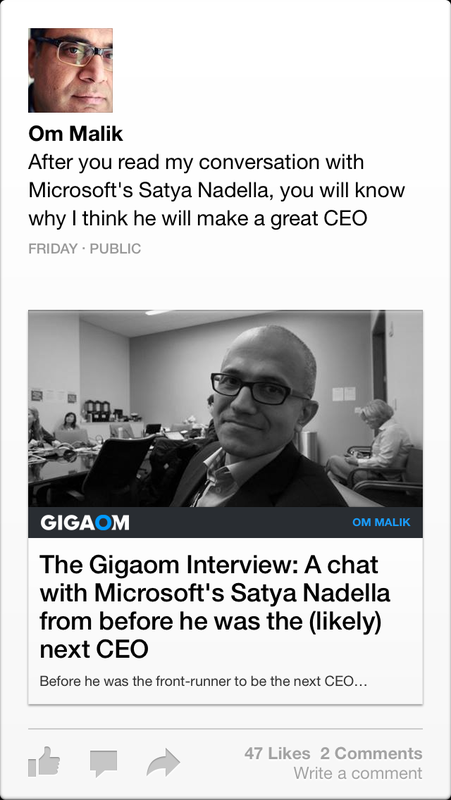 Rather like when the G+ app went all “cards”, you effectively end up seeing less content. 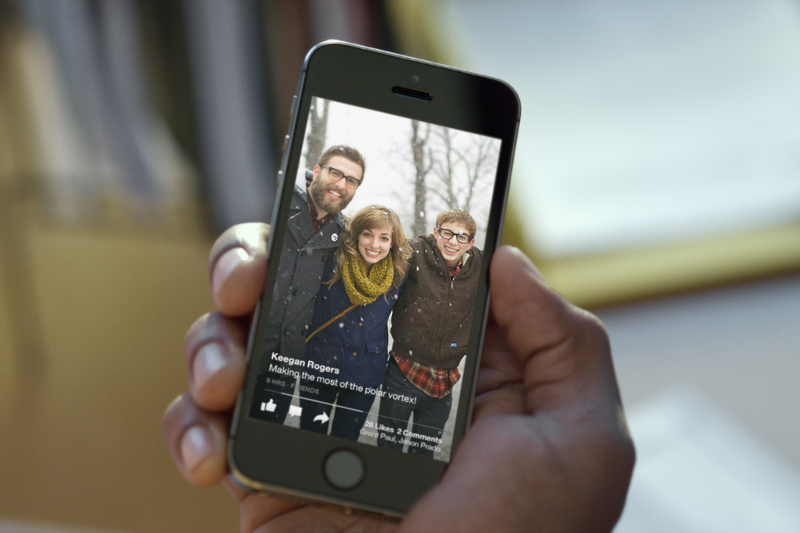 What bothers me most is that Facebook decided to build this product’s brand off the back’s of the team of 53. Glad they shared the same gripe here: http://news.fiftythree.com/post/75486632209/every-story-has-a-name-fiftythrees-story-began. IMO it’s moves like this that will accelerate the exodus beyond the millenial bracket. I’ve already got 1 foot and 3 toes out the door. Seems to me that besides the incredible UX, Paper is simply a restyling of the app. Central newsfeed with the addition of a few general news topics. flipboard did it better and earlier at the mobile/tablet level and theneeds did it better with content curation!